Helena De Lima recorded some bossa material in her days – but here, she's taking on the role of an older style of Brazilian singer – working with moody, sophisticated backings that come across with a nicely balanced sense of emotion! 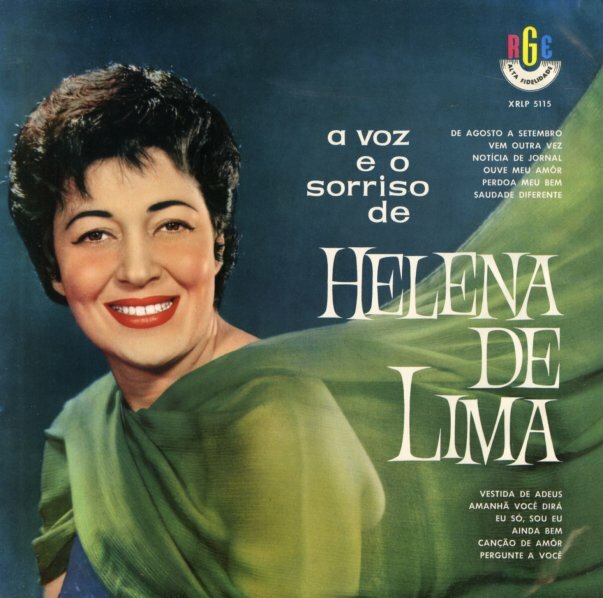 Helena's got a depth to her voice, but never pushes things too much – and the light arrangements from Pocho Perez and Nelsinho often seem to hang just a bit in the background, which leaves De Lima majestically out front – on titles that include "De Agosto A Setembro", "Vem Outra Vez", "Amamha Voce Dira", "Vestida De Adeus", "Saudade Diferente", "Perdoa Meu Bem", "Cancao De Amor", "Ainda Bem", and "Pergunte A Voce". © 1996-2019, Dusty Groove, Inc.